Prominent & Leading Manufacturer from Chennai, we offer alkalinity booster, chiller water treatment chemicals, water treatment chemicals, polyamine, water clarification aid and sodium metabisulphite food grade. Chemtex Speciality Limited formulated product Alkalinity Booster is a liquid alkaline formulation that is used as an alkalinity source for boiler feed water. It helps to minimize the rusting in water tank, feed lines and pumps. Chemtex Speciality Limited are involved in the manufacturing of a variety of chemicals that are being used in various industries for the purpose of treatment of Chiller water for closed loop circuit. Closed circuit or closed loop water systems are a convenient way of heating or cooling building services applications and industrial and commercial processes. Chemtex is a reputed name in Chiller Water Treatment Chemicals manufacturing, thereby enhancing the regular operations of other industrial sectors. Chiller water treatments should be a must for most chiller plants where the pipes are made up of low carbon steel and normal water is used as the make-up water. Chemtex Speciality Limited is involved in the manufacturing of a wide range of Water Treatment Chemicals that are used for separate applications like Boiler water treatment, Effluent water treatment, Cooling water treatment, Reverse Osmosis, and Chilled water treatment etc. 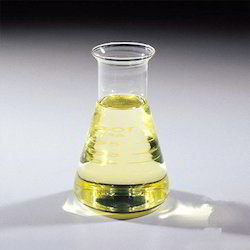 Chemicals that fall under Boiler Water Treatment are specially used as inhibitor for Boiler Corrosion, oxygen scavenger, pH booster, boiler antiscalant, boiler descaler, and boil out chemicals. These are manufactured to cater to all boiler related water treatment. Similarly for catering to all cooling tower related water treatment, chemicals like biocide, algaecide, non-chromate corrosion inhibitor, biodispersant, cooling tower descalant, zinc phosphonate based scale and corrosion inhibitor are produced as part of Water Treatment Chemicals. For the Reverse Osmosis process of water, RO Antiscalant, RO Membrane Disinfectant Biocide, High Silica RO Antiscalant, and RO Membrane Cleaner are produced as Water Treatment Chemicals by Chemtex Speciality Limited. Chiller water corrosion inhibitor, Heat Transfer Fluid Corrosion Inhibitor, Glycol chiller corrosion inhibitor, inhibited glycol, Non oxidizing Biocide and Chiller Descalants are offered by Chemtex as part of the Chiller Water Treatment Chemicals. Polyamine is a group of neutralizing amines blended in a ratio that best suits the conditions of a low-pressure and a medium pressure boiler with long to short run condensate line and at various pressure range and liquid vapor distribution ratio. Polyamine is more recommended than any in-situ blend of amines. It is designed to prevent amine carbonate deposition. Water Clariﬁcation Aids are ﬂocculating agents used in water clariﬁcation processes. These polymeric compounds are primarily used in puriﬁcation of water from diﬀerent industrial sources. The product is highly eﬀective in sludge de-watering from dairy and brewery eﬄuents that otherwise produces huge quantities of eﬄuents containing dissolved sugars and proteins, fats, and residues of other additives drastically increasing BOD, COD and TDS of waste water. This product is suitable for treatment of these kind of eﬄuent. 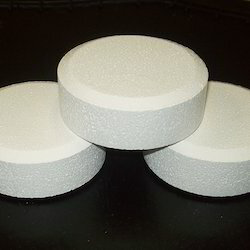 SMBS or Sodium Metabisulfite/ Sodium Metabisulphite is an inorganic compound finding versatile applications as a disinfectant, antioxidant and preservative agent. Sodium Metabisulfite is used as a bleaching agent in pulp and textile prepare, as well as a reducing agent in pharmaceuticals. It's also a known preservative in cosmetics. 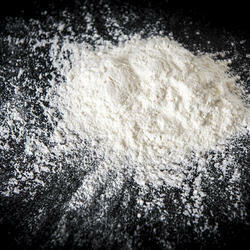 In F&B industries, Sodium Metabisulfite is commonly used as a food preservative for dried food and juice concentrates. Sodium Metabisulfite is safe for human consumption up to 0.7 grams per kilogram of body weight. As a cleaning agent, SMBS is also present in wines and beers, as a sterilizer and an antioxidant in the process of brewing beer or fermenting wine. As antibacterial, it finds application in the process of purifying water, cleaning water pipes and RO membranes in desalinization. Hydrated lime with a molecular formula of Ca(OH)2 is a dry powder contain approximately 75% CaO and 25% H2O. Hydrated lime is used in a variety of industrial applications mainly as a flocculant in water treatment processes. It helps remove small sized contaminants from water by floc formation. Hydrated lime is strongly alkaline in nature and is used as a pH booster to prevent acidic corrosion of metal pipes, also as an anti-stripping agent in asphalt, and in soil stabilization. It also finds application in paper industries for making pulp. 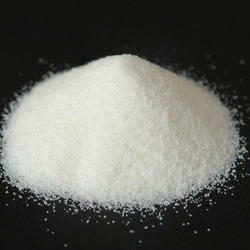 Owing to low toxicity hydrated lime powder is widely used in various food & beverage industries. Polymeric Deflocculant is a versatile mud conditioner and drilling Rheology Controller, effective High Temperature High Pressure (HTHP) fluid loss controller. It is highly soluble over a large range of temperatures. Chemtex Speciality Limited is consistently working towards manufacturing quality products to serve the chemical industry. Sodium Bisulphite is one of the products that fall within the list of general chemicals manufactured by Chemtex. It is a chemical compound having the chemical formula NaHSO3. In various chemical industries Sodium Bisulphite is used as a common reducing agent as it reacts quickly with dissolved oxygen. It also helps in the prevention of oxidative corrosion when added to large piping systems. 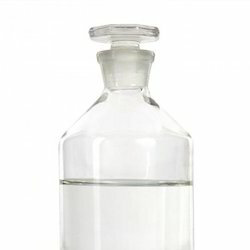 Another important use of Sodium Bisulphite is that it helps in reducing chlorine content of water used for disinfection. 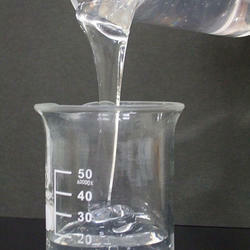 Therefore, it manifests as a critical product when it comes to drinking water and waste water treatment applications. 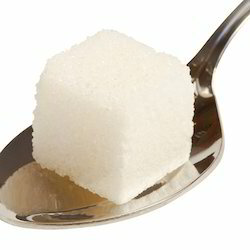 It also finds application in the food industry as it helps in killing microbes and preventing browning of fruit juices.